Please read at visit site. "And that truly defines 2014 for me. A level of propaganda I don�t recognize, and I don�t think I�ve ever seen before. 2014 has for me been the year of utter nonsense. To wit, it just finished in fine form with a 5% US GDP growth number, just to name one example. Really, guys? 5%? Really? With all the numbers presented lately, the negative Thanksgiving sales data � minus 11% from what I remember -, the so-so at best Christmas store numbers to date, shrinking durable goods in November and all? Plus 5%? It really doesn�t matter what I say, does it? You have enough people believing ridiculous numbers like that to make it worth your while. After all, that�s all that counts. It�s a democracy, isn�t it? If a majority believes something, it becomes true. If you can get more than 50% of people to believe whatever you say, that�s case closed. With well over 90 million working age Americans counted as being out of the labor force, and with 43 million on food stamps, you can still present a 5% GDP growth number, if only you can get a sufficiently large number of people to �believe�. And you do, I�ll give you that. As far as the media goes, we have achieved the change we can believe in. We may not have that change, but we sure do believe we have, don�t we? And isn�t that what counts? Are congratulations in order? Well, not where I�m at, they�re not. I should do a shout out to the likes of Zero Hedge, Yves Smith, David Stockman, Wolf Richter, Mish, Steve Keen, Jim Kunstler, and so many others, we�re a solid crowd by now even if we�re neglected, and please don�t feel left out if you�re not in that list, I know who you are. The problem is, we�re all completely neglected by the mass media, even though there are a ton of very sharp minds in this �finance blogosphere�. And perhaps we should make it a point to break through that ridiculous black-out in 2015. 2014, in my eyes, has been the year of propaganda outdoing even its own very purpose, and succeeding too. We are supposed to be living in a time of the best educated people in the history of mankind, and everyone thinks (s)he�s mighty smart, but precious few have even an inkling of a clue of what transpires in the world they live in. Talk about a lost generation. Or two. We really need to question the value of higher education, if all we get for it is a generation of people so easily duped by utter blubber. What do they teach people at our universities these days? Certainly not to think for themselves, that much is clear. And then what is the use? Why spend all that time raising an entire generation of highly educated pawns, sheep and robots? I can think of some people liking that, but for society as a whole, it�s devastating if that�s all higher education is. And if you would like to raise doubts here, the very existence of finance blogosphere I mentioned before is proof that we indeed have raised a generation of sheep. If we had functioning media, there�d be no need for that blogosphere. We are the people who keep on pointing out where the mass media fail, let alone the politicians, simply by being there and being supported to the extent we are by the few people who escape the sheep mentality." 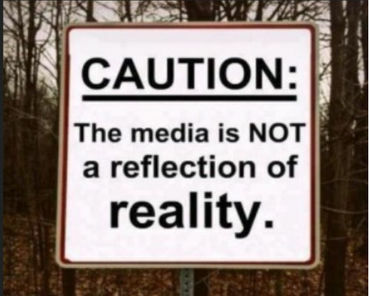 As far as media is concerned, 2014 has been downright scary in its distortion of reality. Let�s try and move 2015 a little bit closer towards what�s actually happening." - I'll add an AMEN to this. It surely is NOT the Dems alone! But certainly the nest is situated in the DOS. Very interesting article! Thanks for posting, Angelika. Herr Goebbels would envy the US and European media today. Propaganda is not new -- we are more credulous than we used to be. I did not see any proof provided by the author of his claims either, so I just wasted my time reading his opinion. That said people need to read from a wide variety of sources to get an accurate picture. If they had in the runup to the Iraq war they would have realized that those "weapons of mass destruction" were based on shaky intelligence.